This brush is designed to fit within the contours and crease of the eyelid to add professional dimension to any eye look. 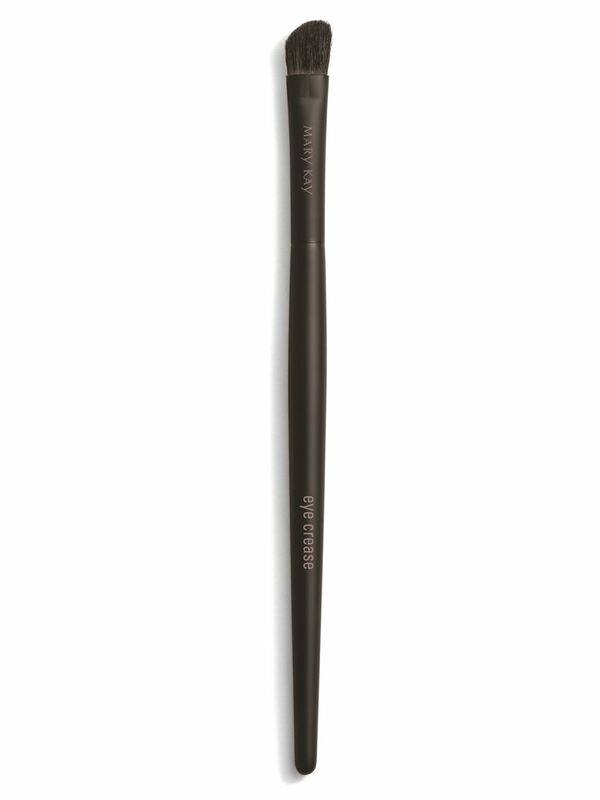 You’ll want to have more than one of this handy eye shadow brush. Features a flexible, angled tip to fit in the contours and creases of eyelids. Give eyes gorgeous dimension and combine with other Mary Kay® eye brushes to create endless looks. Features new, feather-soft synthetic bristles, to pick up the perfect amount of eye shadow and also beautifully glide on liquid and cream. Sweep brush across your favorite shade of eye shadow, tapping off excess before application. Starting from the outer corner of the eye, sweep inward along the crease. Or, pat or stamp color directly into the crease before blending to diffuse lines. Get a graphic eye look with the Eye Crease Brush by tracing a V-shape from the outer corner of the eyelid inward. The point of the V should sit at the outer corner, extending just above and just below the crease. Blend only slightly to maintain the graphic design.